you are bidding on a metallica fan club magazine. 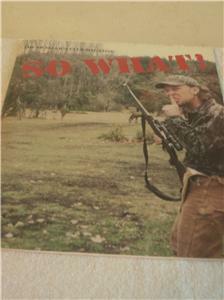 its the 2nd issue of 1999. there is a 10 page article about james hunting trip plus lots of pictures. shipping is combined so look in my store for other items. and have fun. if you are buying more than one item wait until i combine your shipping. i do not refund overpayment on shipping. i do combine shipping charges and have a special when you buy 5 or more doll clothes items. so please wait until i cobine them. i want my customers to be happy so please contact me with any problems. i do love making doll clothes and keeping them at a reasonable rate so please check out my store. you can call me at 573-996-3533. or send me a message through ebay.